Dr. Squeek is a tyer of balloons, performer of magic, and teller of really bad jokes. 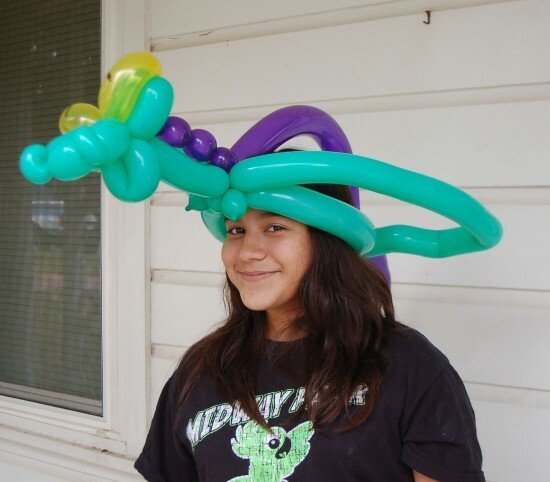 Balloon animals (and hats) are squeeky clean fun. Dr. Squeek can liven up any gathering be it party, picnic, or bar mitzvah. 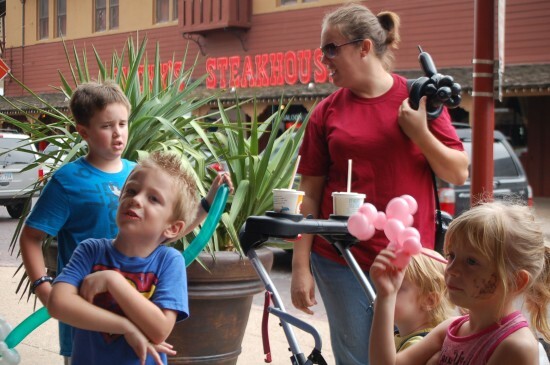 Centered in the North Texas area, serving Louisiana, Arkansas, and Oklahoma as well. Dr. Squeek bursts on the scene full of energy and bad jokes. Why did the Aggie put all his coffee in the bathtub? A crowd quickly forms and shouts of "Make me a " and "I want a " soon fill the air. He's not "Dr. Quiet", so the sounds of squeaking balloons hit you like fingers on a chalkboard. Cries of "That looks cool!" or "Make me one, too" drown out the squeaks. Balloon after balloon is contorted, squished, folded, and popped to form any number of shapes, each accompanied by that telltale squeak. Everyone goes away satisfied or stays to hear more of the really bad jokes. all of the popular characters from super heroes and princesses to dragons and silly hats. 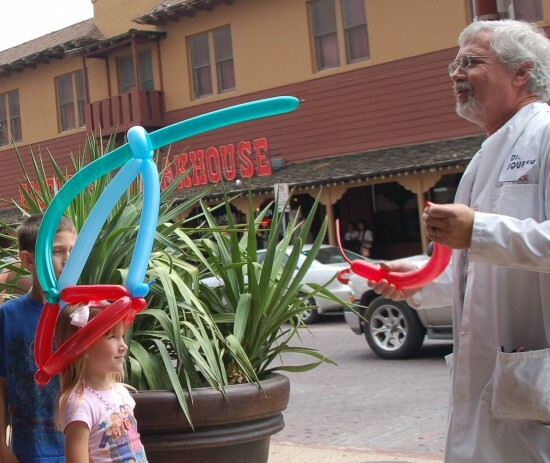 Dr. Squeek has been doing balloon animals and such for over 40 years. 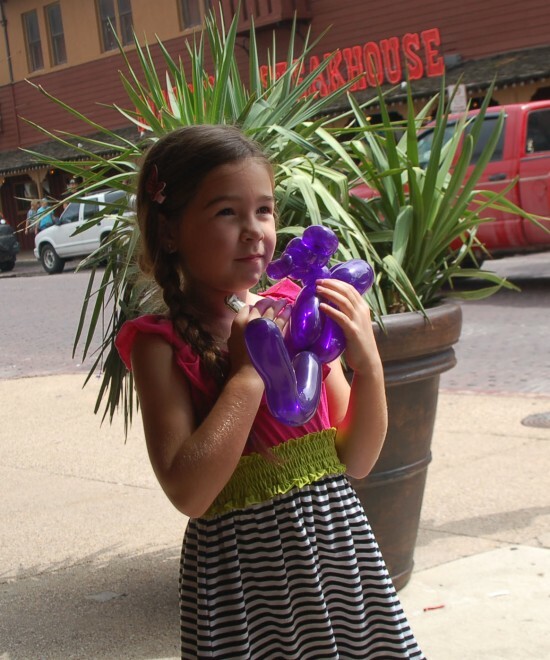 Along with the balloons you get quickly-performed magic tricks and an array of terrible jokes. Self-contained and portable, Dr. Squeek is not limited to a stage or trapeze. 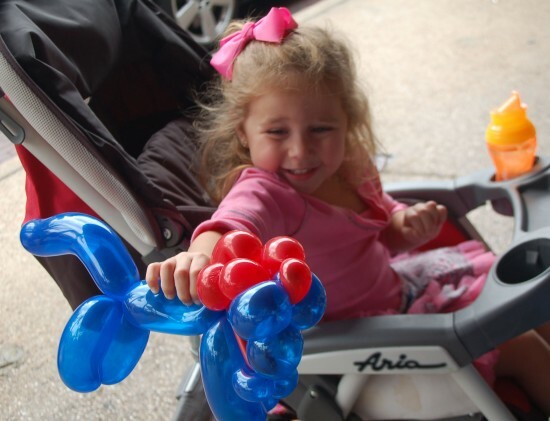 Balloons draw a crowd to a trade show booth or entertain children for an evening. Adults get a big kick out of the balloons as well, especially the silly hats. NO microphone can hold me. Dr. Squeek is self-contained and portable.